The Kardashian/Jenner dynasty is growing (almost) as quickly as The Duggars. With the births of Chicago, True, and Stormi this year 62-year-old matriarch Kris Jenner’s grandbaby count is almost into the double digits. Below is a breakdown of all of Kris Jenner’s nine grandchildren as of May 2018. 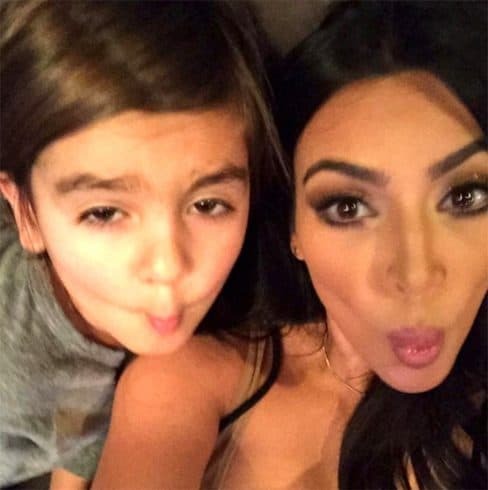 8-year-old Mason was the very first baby born from this generation of Kardashian/Jenners. 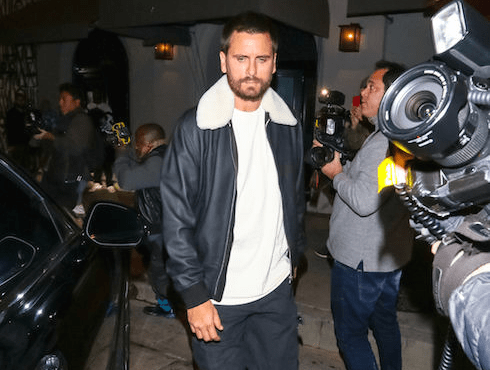 He was a surprise baby for Kourtney with then-boyfriend Scott Disick. Kourtney found out she was pregnant while filming Kourtney & Khloe Take Miami during a period of time when they were broken up. They got back together after news of Kourtney’s pregnancy, however, and Mason came into the world December 14, 2009. Mason’s middle name references the Kardashian name and and is also the name of the Kardashian sisters’ joint clothing store DASH, which will be shuttering it’s doors this year. Parents Kourtney and Scott have had an extremely tumultuous relationship and finally split in 2015, but they continue to coparent their three children together. The entire scene was incredibly touching, but one of the best moments was when Mason was introduced to Penelope. “Her name is Penelope,” Kourtney told him. “No, her name is sister,” he replied. ? 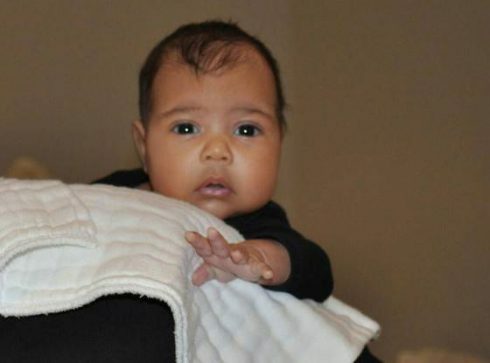 Penelope seems extremely close to her cousin North West, who was born a year later. Whatever secret language u girls speak, the way you girls protect each other & love each other is so special. Penelope, North is so lucky to have a best friend like you! Happy Birthday my sweet P. I love you to the moon and back! Kim has been pregnant twice and found the experiences so uncomfortable that she hired a surrogate for her third child. She had health scares during her pregnancy with North including suffering from preeclampsia, a potentially fatal high blood pressure condition some expectant mothers experience. North arrived 6 weeks early and was not seen on KUTWK until she was two years old, but her first photo was revealed to the world when her dad appeared on her grandmother Kris’ short-lived talk show. Kanye even wrote a song for North with Paul McCartney. my little drummer boy … just because it’s Christmas Eve ?? In a lovely coincidence 3-year-old Reign Aston Disick was actually born in 2014 on the same date, December 14, as his older brother Mason. 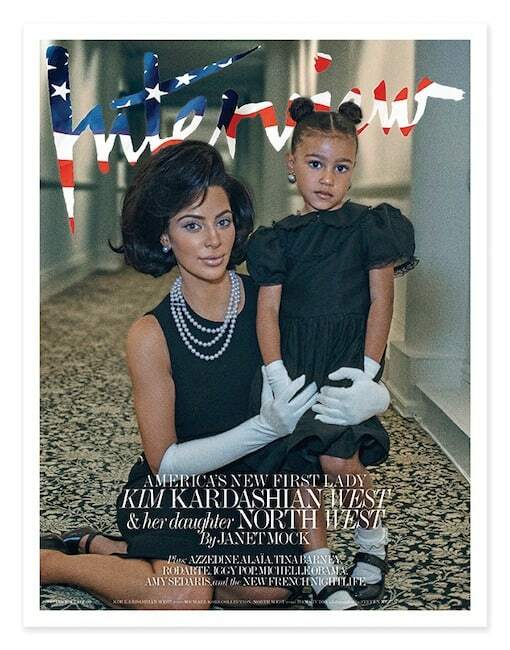 After Reign’s birth Kourtney and Scott’s relationship went from rocky to nuclear. Even with all their issues, however, they seem to always come together for the kids. Last year Kourtney shared this photo of them sharing a family vacation in Hawaii even though they weren’t together as a couple. Unlike her previous birth with Penelope, Kourtney kept the birth of Reign pretty much under wraps. 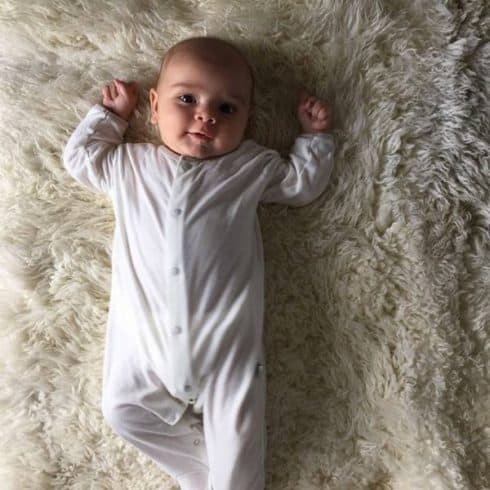 She later debuted the below adorable baby photo of him on Instagram. As for his name? Reign was reportedly on the name list for Mason, and Penelope was almost named the homonym Rain. Next up to be born (and another December birthday) is two-year-old Saint West, who debuted December 5, 2016, two and half years after parents Kim and Kanye officially tied the knot. During this pregnancy Kim suffered another health scare: she developed gestational diabetes. While Kanye’s drama stays in the headlines over his opinions and behavior, there hasn’t ever been much relationship drama between this pair and they seem as tight as ever. One of the many things Kanye has tweeted since his epic return to the social media site recently was that he want to get a tattoo of his son’s name on his neck. He’s also recently shared this sweet pic of Saint loving up on his new baby sister Chicago. 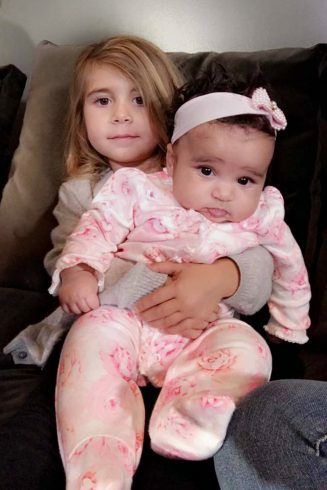 One-year-old Dream Kardashian was worth to Robert Kardashian and his then girlfriend Blac Chyna on November 10, 2016. Her parents split up soon after her birth in one of the messiest public breakups that the Kardashian Jenners have possibly seen. Chyna filed a lawsuit against Rob and some of his other family members around the cancelation of Rob and Chyna’s reality show, but they are now reportedly trying to work together to get along for the sake of Dream. The baby girl reportedly got her name because she is her father’s “Dream come true.” She shares her middle name with her mom. On January 15, 2018 and unnamed surrogate gave birth to Kim and Kanye’s third child, baby girl Chicago West. Kim opted for a surrogate because she had such difficult times carrying her two older children. Chicago is a nod to dad Kanye’s hometown. Kim recently revealed that she’s still ambivalent about the name because it references so many different things. She’s also a bit upset that she did not keep with her tradition of one syllable names. On February 1, 2018, half a month after Chicago’s birth, Kylie Jenner welcomed her first baby Stormi Webster with rapper Travis Scott, whose real name is Jacques Webster. Kylie was extremely private during most of her pregnancy, which ignited a media frenzy trying to get conformation that she was actually expecting. 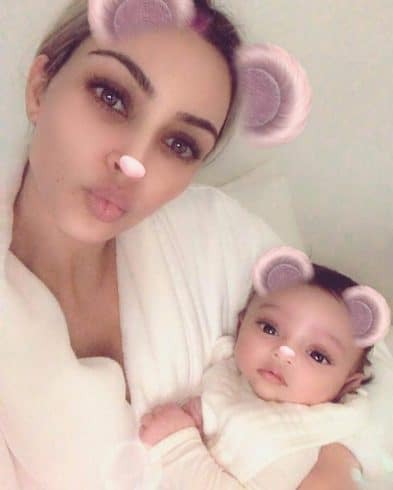 Since the birth of baby Stormi, She recently revealed to sister Kim Kardashian that she wasn’t sure why she named her baby Stormi, or whether or not she or Travis came up with the name. Khloe Kardashian’s baby girl True with Tristan Thompson in the middle of a heartbreaking cheating scandal. Kris Jenner and Kim Kardashian flew to be by her sister during and immediately after the birth and Kris Jenner told Ellen DeGeneres that her daughter is doing well with new motherhood despite the “unexpected” scandal. So far no photos of True have been shared, but Khloe did post a lovely pic of True’s pink nursery full of pink balloons. So far there have been rumors, but no confirmation of an official breakup for the pair. It seems that Khloe is focusing on her newborn baby right now, as she should. UPDATE: TMZ says they have footage of Khloe out on a dinner date with Tristan, so it sounds like they may be working on their relationship instead of splitting up. Kendall Jenner is now the only one of Kris Jenner’s children to have not had kids herself. How many times has Kim Kardashian been married? Who is Kim Kardashian’s father Robert Kardashian?